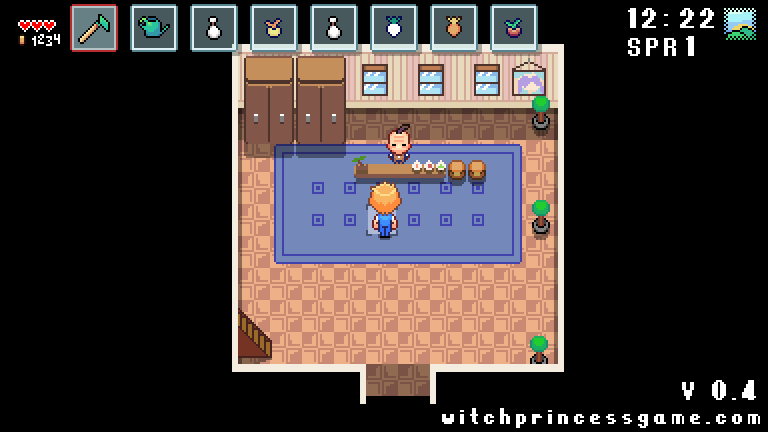 Witch Princess is a single-player RPG that was heavily inspired by mostly Harvest Moon, and maybe a tiny bit of Animal Crossing and Rune Factory. You farm, save goddess's from her sister whos up to no good, marry someone and start a family, go fishing, meet the unique cast of npcs, and drink at the bar. okay there is a lot more than just that, but you get the idea. read the whole thread if you're super curious, or just save yourself time and ask me a question. Witch Princess 0.4 build. 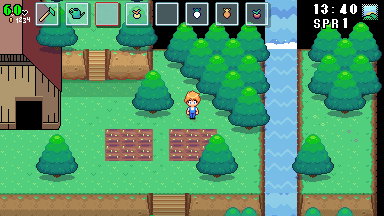 I know about the bug that happens when you go to your farm. Anything else feel free to let me know! Yeah the early harvest moon games were the best and I have very big expectations for this game =)I'd like to share though that you have competition. And it's on steam but don't give up! This is still very promising! Haha I'm not competing against sales or anything. Just making it because I want to. And wouldn't Harvest Moon be a competitor too?